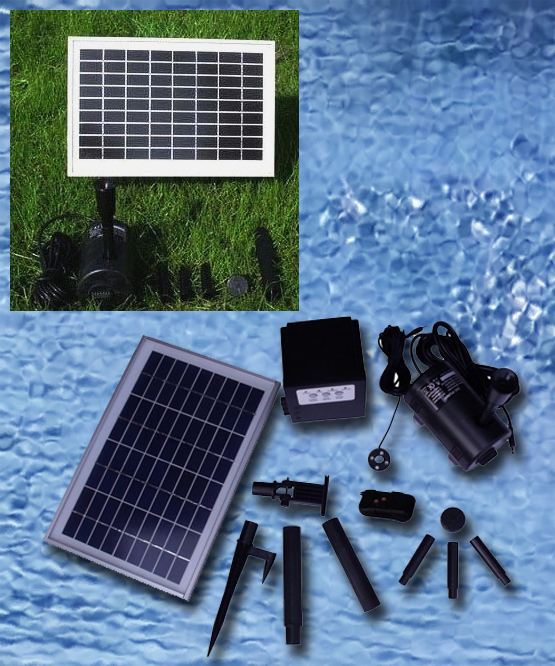 The heavy duty 8 Watt, 80-Inch Head Solar Water Pump/Panel Kit with Battery and LED Solar Light is designed for fountains, ponds and other outdoor uses. It can be set up easily where you want, without the need for batteries or wiring installation. With a GPH of 200, it can create 80-inches of head pressure: either for a straight upward fountain spray or as part of another water feature with moving water. It's perfect to create a new fountain, waterfall anywhere in your pond, yard or patio. Or, replace an electric powered pump with this solar pump kit to make your water feature more environment-friendly, more flexible and to lower your monthly utility bills. 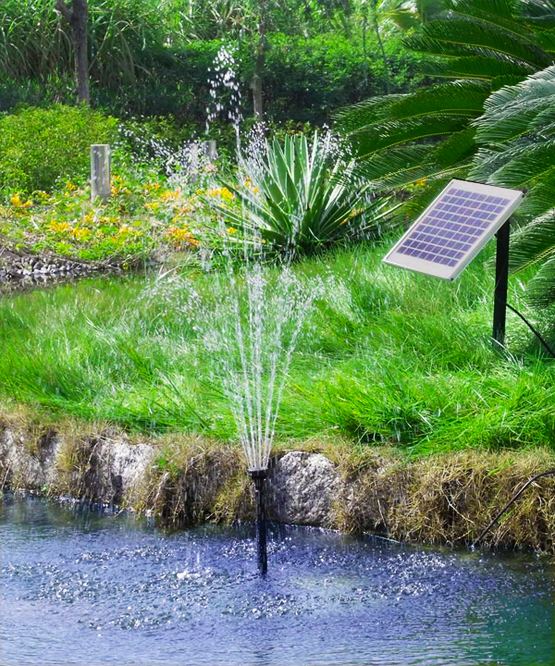 The 8 Watt Solar Water Pump has an LED fountain light that automatically illuminates the fountain spray at night. Versatile, this solar water pump can be used during the day or night, as part of the solar energy each day is captured in a battery for reserve use at night. Note: This pump is made by the same manufacturer as all of our solar pumps. Some prices we set; others are set by distributors. This pump is not a "better pump" than our 10 watt pump; the only difference is the length of the warranty. 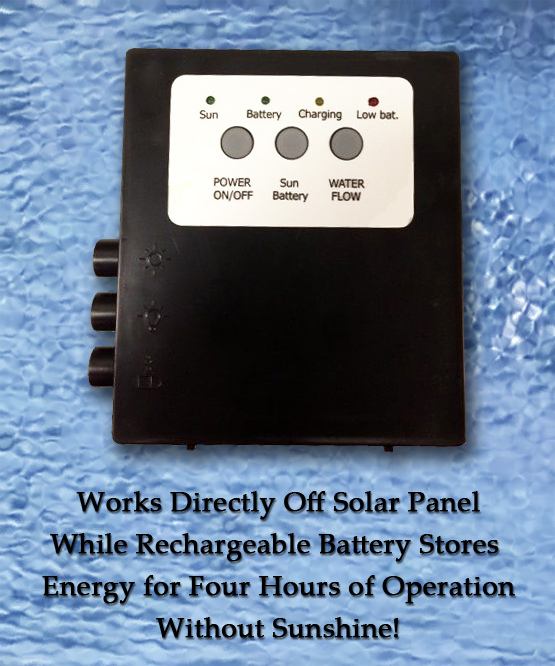 Pump Runs During Day, Using Direct Solar and Battery While Also Charging Battery: By leaving the pump in the "ON" position, the solar panel runs the pump and diverts part of the power to the battery the pump. The pump continues to run if clouds come out, but the battery charges at a slower rate than if battery/pump was turned to "OFF" position, meaning less reserve power will generally be in the battery. Water Flow Function: Adjust water flow by pressing a button on the unit's control box to meet the need of different water features, sprays, fountains. The water flow also can be adjusted directly from the pump.